This prose poem, sent to Lasha Darkmoon yesterday by an anonymous correspondent, deserves publication. We include here a sort video poem by Darkmoon on a similar theme: the theft of Palestine. I am Israel. I came to a land without a people for a people without a land. Those people who happened to be here, had no right to be here, and my people showed them they had to leave or die, razing 480 Palestinian villages to the ground, erasing their history. I am Israel. Some of my people committed massacres and later became Prime Ministers to represent me. In 1948, Menachem Begin was in charge of the unit that slaughtered the inhabitants of Deir Yassin, including 100 men, women, and children. In 1953, Ariel Sharon led the slaughter of the inhabitants of Qibya, and in 1982 arranged for our allies to butcher around 2,000 in the refugee camps of Sabra and Shatila. I am Israel. 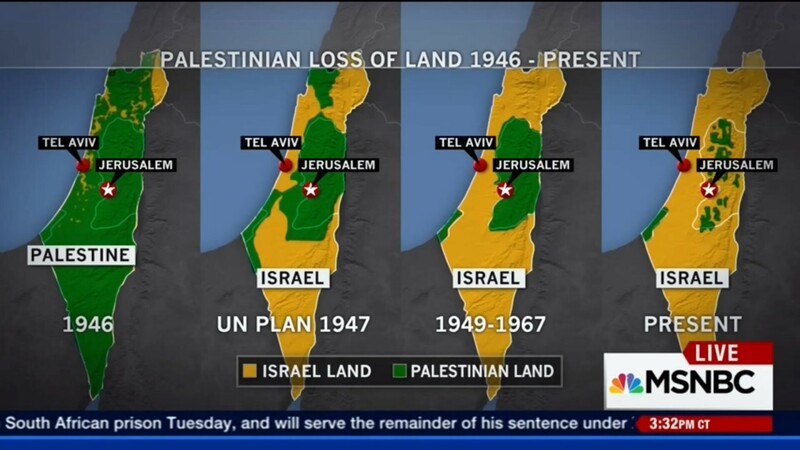 Carved in 1948 out of 78% of the land of Palestine, dispossessing its inhabitants and replacing them with Jews from Europe and other parts of the world. While the natives whose families lived on this land for thousands of years are not allowed to return, Jews from all over the world are welcome to instant citizenship. I am Israel. In 1967, I swallowed the remaining lands of Palestine – the West Bank and Gaza – and placed their inhabitants under an oppressive military rule, controlling and humiliating every aspect of their daily lives. Eventually, they should get the message that they are not welcome to stay, and join the millions of Palestinian refugees in the shanty camps of Lebanon and Jordan. I am Israel. I have the power to control American policy. My American Israel Public Affairs Committee can make or break any politician of its choosing, and as you see, they all compete to please me. All the forces of the world are powerless against me, including the UN as I have the American veto to block any condemnation of my war crimes. 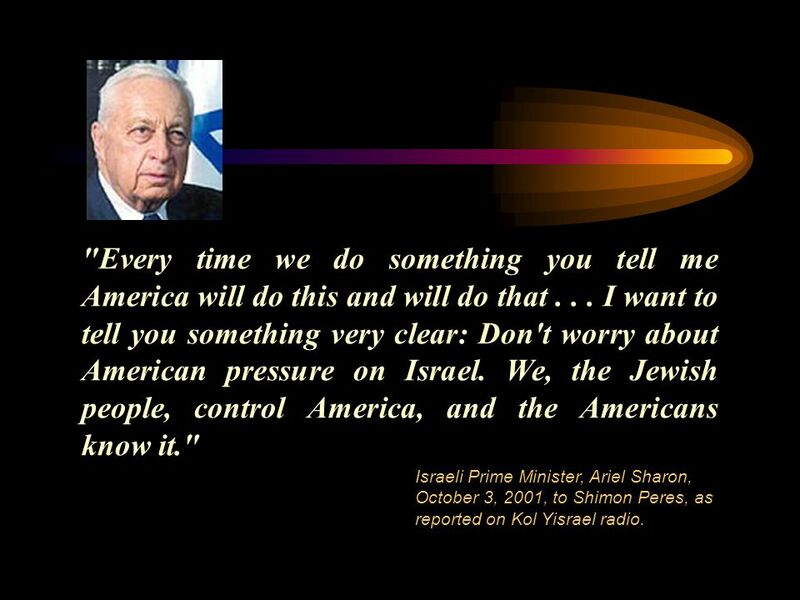 As Ariel Sharon so eloquently phrased it, “We control America”. I am Israel. I influence American mainstream media too, and you will always find the news tailored to my favor. I have invested millions of dollars into PR representation, and CNN, New York Times, and others have been doing an excellent job of promoting my propaganda. Look at other international news sources and you will see the difference. I am Israel. You Palestinians want to negotiate “peace! ?” But you are not as smart as me; I will negotiate, but will only let you have your municipalities while I control your borders, your water, your airspace and anything else of importance. While we “negotiate,” I will swallow your hilltops and fill them with settlements, populated by the most extremist of my extremists, armed to the teeth. These settlements will be connected with roads you cannot use, and you will be imprisoned in your little Bantustans between them, surrounded by checkpoints in every direction. I am Israel. I have the fourth strongest army in the world, possessing nuclear weapons. How dare your children confront my oppression with stones, don’t you know my soldiers won’t hesitate to blow their heads off? In 17 months, I have killed 900 of you and injured 17,000, mostly civilians, and have the mandate to continue since the international community remains silent. Ignore, as I do, the hundreds of Israeli reserve officers who are now refusing to carry out my control over your lands and people; their voices of conscience will not protect you. I am Israel. You want freedom? I have bullets, tanks, missiles, Apaches and F-16s to obliterate you. I have placed your towns under siege, confiscated your lands, uprooted your trees, demolished your homes, and you still demand freedom? Don’t you get the message? You will never have peace or freedom, because I am Israel.